MOSCOW, January 17. /TASS/. The Russian Investigative Committee found no proof to accusations of substituting doping samples of Russian athletes at the anti-doping laboratory in Sochi during the 2014 Winter Olympics, committee’s spokeswoman Svetlana Petrenko said on Wednesday. 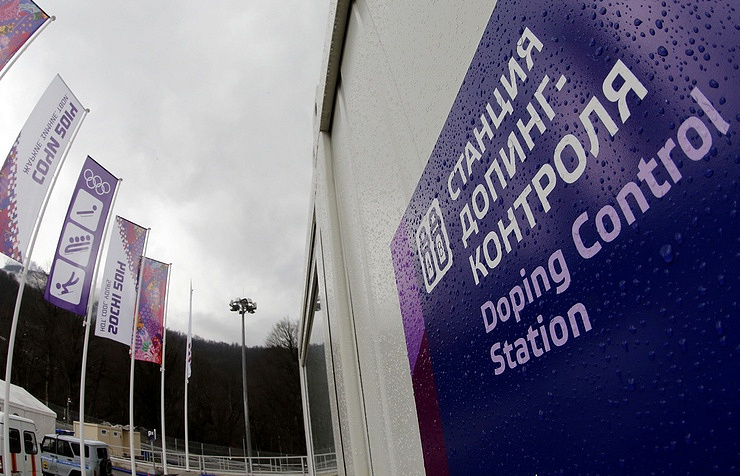 "The investigation found no evidence on the substitution of doping samples at the laboratory in Sochi in 2014," Petrenko said adding that staff members of the anti-doping center, who worked there in 2014, were questioned during the investigation and testified that there were no actions regarding the alleged swapping of doping samples. Petrenko also said that investigators also obtained evidence, which prove that allegations, made by a former head of Moscow anti-doping laboratory, Grigory Rodchenkov, on the substitution of doping samples in Sochi, were false. "We have obtained protocols on the dispatch of doping samples and documents on their registration and aliquoting in the Sochi laboratory…," she said. "The documents say that doping samples were delivered to the laboratory in Sochi during daytime, then they were registered and within the period of between 30 minutes and two hours they were handed over for testing." Therefore, Petrenko said, "Rodchenkov’s arguments were dismissed that doping samples of Russian athletes at the 2014 Winter Olympics were stored after they had been collected and in the night they would be substituted with the so-called clean samples, which later went for testing on the presence of banned substances." The WADA (World Anti-Doping Agency) Independent Commission, chaired by Canadian sports law professor Richard McLaren, delivered two parts of its report last year, namely in July and in December, on the alleged doping abuse and manipulations by Russian athletes and officials. Among the findings mentioned in the McLaren report were allegations that bottles containing the doping samples were tampered with, including during the 2014 Olympic Games in Sochi. The report claimed that some of the bottles had scratches, which meant they were previously opened and tainted samples were allegedly replaced with clean urine. The WADA Independent Commission decided to launch its investigation last year following media reports based on testimony from a former head of Moscow anti-doping laboratory, Grigory Rodchenkov. Rodchenkov told Western media in the spring of 2016 that Russian athletes largely used performance enhancing drugs at the 2014 Olympics in Sochi with the approval of the national sports authorities. On the whole, the ex-doping official claimed that the Russian sports authorities allegedly prepared a special doping program for national athletes in order to win most of the medals at home Winter Olympics in Sochi in 2014. Following Rodchenkov’s allegations and McLaren’s report, the IOC ordered a re-test of doping samples collected at the 2014 Olympics and the Russian Investigative Committee launched its own probe into statements made by Rodchenkov. The former chief of the Moscow anti-doping laboratory also gave WADA last year what he said was a list of athletes who on the eve of the 2014 Winter Olympics allegedly had used a doping cocktail that he concocted and named after a popular Soviet-era soft drink. On June 8, 2016, Russia’s Investigative Committee launched a criminal case against Rodchenkov on charges of power abuse. On September 21, 2017 Moscow’s Basmanny District Court arrested him in absentia. In November 2017, the Russian Investigative Committee announced that it would seek the extradition of Rodchenkov, who absconded to the United States in 2015. In addition, an obstruction of justice charges was filed against him. He was also put on the international wanted list.